Second sighting of the black figure. This time moving (and an amazingly ominous arrival too). What can be said is he/it definitely has a connection with the case in Buckhorn. Or she felt like someone was coming, but doesn't see anyone. That was scary! Reminds me of good old Bob scenes with out of the blue appering and overall sense of disturbance. Anobody read the interview with David Lynch after Premiere when he said something like : About this little fella, you better keep watching. PS. 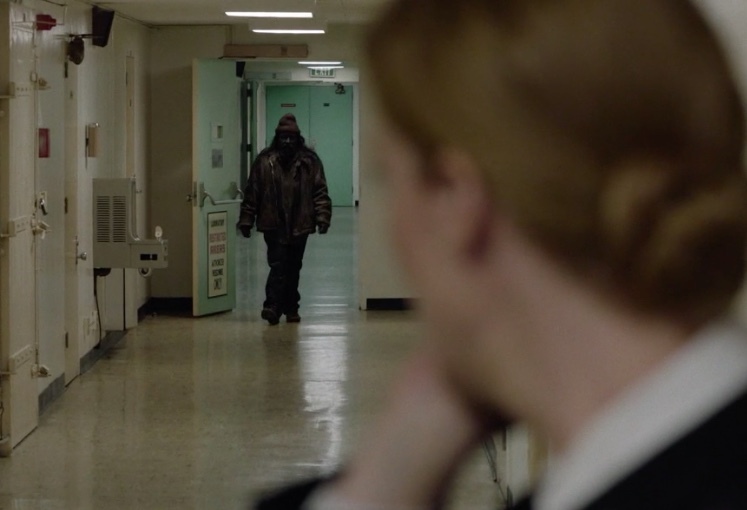 He reminds me also about this hooded figure in oryginal Twin Peaks. 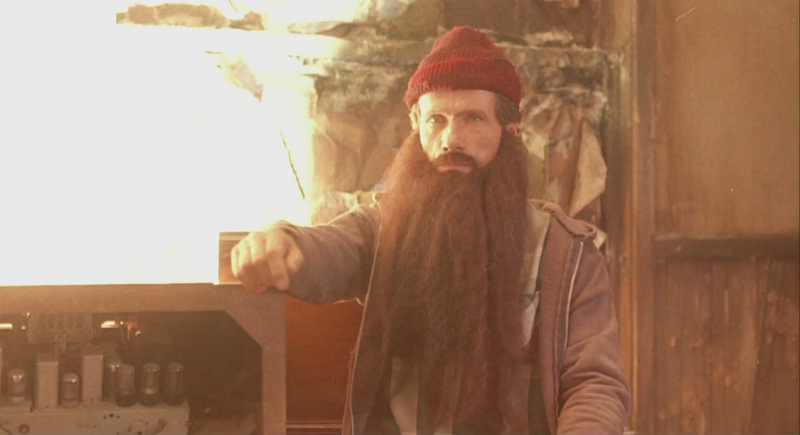 He looks like the dark hooded homeless Man from "Mulholland Drive." Definitely as creepy and scarry. Lynch certainly reintroduces elements from his previous movies (Blue Velvet, Mulholland Drive, Lost Highway, as well as FWWM) in the new TP. So he is this the dude in the prison cell/ the floating head, right? 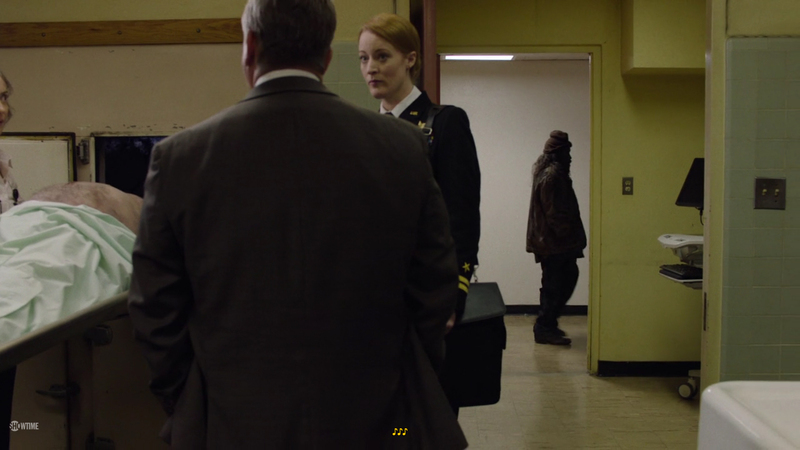 I believe the black figure is specifically connected to Major Briggs. He's probably a spirit from the Black Lodge much like Bob and The Arm. Perhaps the black figure is collecting garmonbozia, or at least manipulating the people surrounding Major Briggs to produce garmonbozia. He could be covered in the substance at the entrance of the Lodges that smells like scorched engine oil.